Customize each free quilt block patterns tutorial to suit YOUR needs! On this page are instructions for printing the paper piecing patterns and/or templates that may be used in the construction of a block. 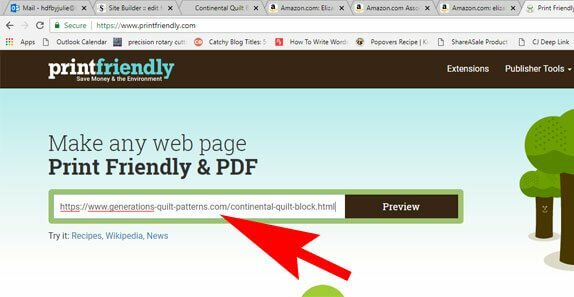 You'll also find instructions on how to print a quilt block tutorial—customized to your needs in their entirety using a website resource called 'PrintFriendly'. Use the buttons below to visit the various pages of free quilt block patterns to choose from. I admit, when I started this website back in 2008, it never occurred to me that anyone would want to print the tutorial pages—they're R-E-A-L-L-Y LONG and full of pictures—real ink guzzlers! 'That what you'd really want to print are any templates or paper piecing patterns used to make the block. As time marched on, the majority of visitors to this website are using a mobile device—smart phone or tablet—to view it. So in my mind, the need to be able to print the actual tutorial was very small. Click on this image on any tutorial page to come right back here to these instructions! A small but persistent group of visitors continued to tell me they want to print the tutorials. So I've dedicated a fair amount of time investigating printing functions. To be honest, I haven't found one that is 'perfect' in my eyes. 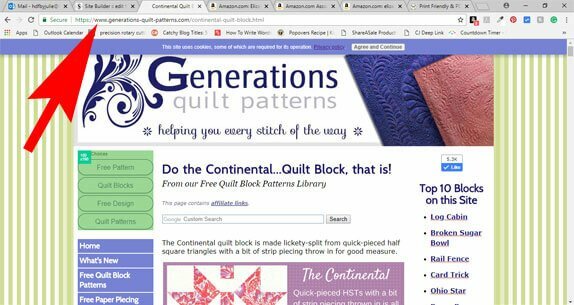 Click the URL of the tutorial—it starts out with https://www.generations-quilt-patterns.com—in your browser bar (red arrow in the photo below) to highlight it. Highlight the whole thing. 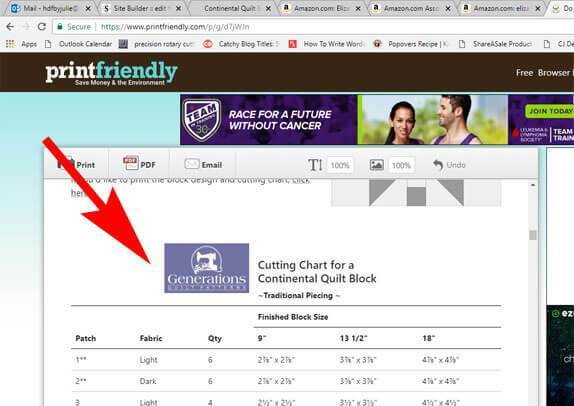 Now go to the printfriendly.com website and paste the URL into the top box (red arrow below) on the PrintFriendly page and hit the 'Preview' button. You'll notice that the charts don't print out the same way they look on the website...most—but not all—of the color is stripped from them (red arrow below). Yep! That blue box is part of the coding on the page. That's because the charts are 'coded' to display the way they do on the site. I've tried using pictures, but they render fuzzy—not good for those viewing on mobile devices. The PrintFriendly program allows you to discard/trash any part of the tutorial that you don't need to print, saving on your printer ink bill. 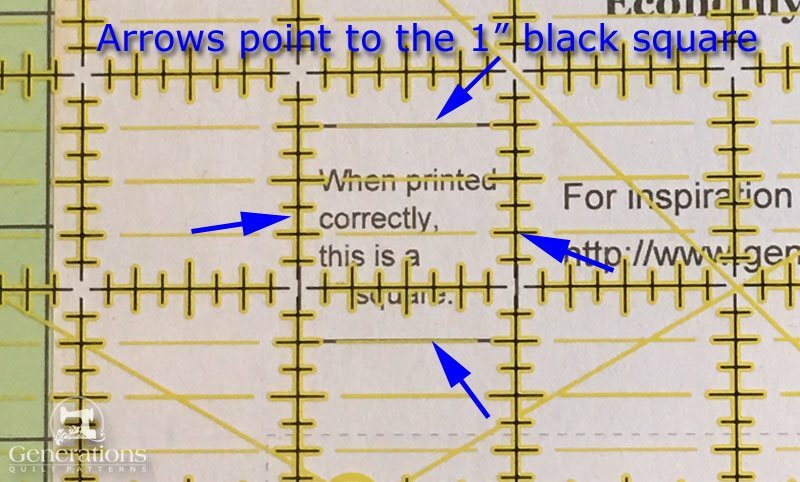 If you already know how to do a section of a block, why waste the ink, right? PrintFriendly also offers a browser extension that you can add to your own computer. I have not added it to mine and so can't make any recommendations as to 'yay' or 'nay'. To those of you who prefer to print the entire tutorial it is my hope that this is an acceptable solution. Just remember, these free quilt block tutorials are detailed and usually require 10 or more pages to print. 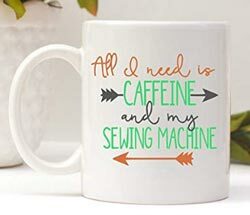 ...you will still need to print any templates and paper piecing patterns separately using Adobe as outlined below. 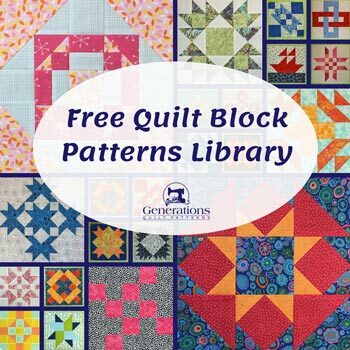 Throughout the Free Quilt Block Patterns Library you'll find that some blocks use templates or paper pieced blocks or units in their creation. You usually print them from a 'Download and Print' section on the tutorial page usually before the cutting instructions, but sometimes after. For a few tutorials, the links to the patterns and templates are in the Cutting Chart, itself. Just click on the link (which is underlined) under the 'Finished Block Size' of your choice. Why so many different formats? With over 165 tutorials to date, the format has evolved. Over time, I'll get them all in the same place, in the same format. Please bear with me...it's much more fun to create new free quilt block patterns for you! You'll need Adobe Reader (the latest version is recommended) installed on your computer in order to open and print any of the patterns or templates. You can get it here (a new window will open so you can download it without leaving this page). 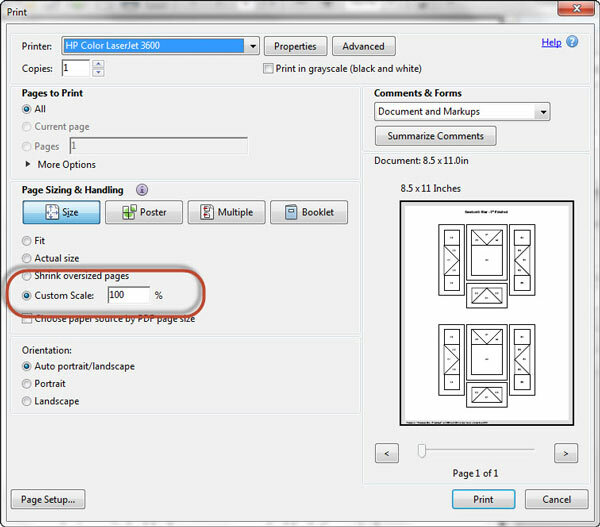 In order to print, open the downloaded file, and select the "Print" option. Patterns are designed to be printed on letter size paper (8½" x 11"). In order to print blocks at the correct size, under 'Page Sizing and Handling' in the Adobe print menu, set 'Custom Scale' to 100%. Click here to see what it looks like on the Print Menu page. The lines of the 1" square are completely covered by the lines of the ruler—the blue arrows point to where they are. This page printed exactly right! 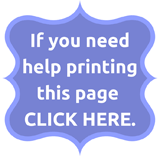 After printing one page, measure it to see that it printed correctly, then print any remaining copies. For step-by-step illustrated instructions through the download process, click here. Use the buttons below to quickly find the blocks you're looking for.